M/s Unichem Laboratories Ltd. Vs. Rani Devi and Anr. Petitioner: M/s Unichem Laboratories Ltd.
Respondent: Rani Devi and Anr. Abhay Manohar Sapre, J. S.L.P. (c) No. 11472 of 2013 1) Leave granted. 2) This appeal is filed against the final judgment and order dated 15.10.2012 passed by the High Court of Judicature at Allahabad in Civil Revision No. 441 of 2012 whereby the High Court allowed the revision and set aside the judgment/decree dated 30.07.2012 passed by the Additional District and Sessions Judge, Small Causes Court, Ghaziabad, U.P. in SCC No. 39 of 2001. 3) The appellant is the plaintiff whereas the respondents are the defendants in the civil suit out of which this appeal arises. 4) The appellant is a Public Limited Company registered under the Companies Act. Its registered office is at Mumbai. The appellant has one industrial unit at Industrial Area, Meerut Road in Ghaziabad (UP). 5) The State of U.P. has enacted an Act called "The Uttar Pradesh Industrial Housing Act, 1955" (hereinafter referred to as "the Act”). The object of this Act is to provide housing to industrial workers by the State or local authorities working in the industries in the State of UP. 6) Some Sections of the Act, which are relevant for this case, need mention. Section 3 provides that the Act shall apply to those houses which are constructed by the State or the authorities specified in the Section for the occupation of the Industrial workers under the Industrial Housing Scheme subsidized by the Central Government or any Scheme notified in the Official Gazette. Section 4 empowers the State Government to appoint Labour Commissioner to exercise the powers under the Act in relation to the houses and other matters specified therein. Section 7 specifies the duties of the Labour Commissioner. Sections 10 and 11 deal with allotment of houses and the manner in which the allotment is to be made. Section 12 specifies the conditions of occupation of the houses by the allottees. Section 13 deals with the bar of jurisdiction of the Court and provides that no order made by the State or Labour Commissioner under the Act would be called in question in any Court and no injunction shall be granted by any Court or any authority in respect of any action taken in pursuance of any power conferred by or under the Act. Sections 15 and 16 empower the Labour Commissioner to fix the rates of rent and the manner of its payment. Section 18 empowers the Labour Commissioner to enter into any house for the purpose of administering or carrying out the provisions of the Act. Section 20 enables the employer of the allottee to enter into an agreement with the Labour Commissioner for recovery of rent every month from the salary of their employee(allottee). Section 21 so long as it was a part of the Act (since deleted w.e.f 28.4.72) had empowered the Labour Commissioner to evict any allottee from the allotted house on the grounds specified therein. Section 22 provides a right of appeal to the State against the order of Labour Commissioner. Section 28 provides rule-making power to carry out the provisions of the Act. This, in substance, is the Scheme of the Act. 7) The State Government constructed several houses in accordance with the provisions of the Act and allotted, quarter Nos. 5,6,7,8,11 and 12 in Block No. 59 at Industrial Labour Colony, Ghaziabad to the appellant vide order dated 29.04.1971 so as to enable the appellant to allot these houses/quarters to the workers for their use and occupation while they were in the appellant’s employment. The allotment order issued by the State, inter alia, provided that, (1) monthly rent of each quarter would be Rs. 23/-; (2) The quarters would be used only for residence by the eligible worker; (3) The allottee of the quarter shall deposit security money of Rs. 46/- per quarter and will also execute agreement as prescribed before occupying the quarter; and (4) In the event, it is found that the allotment is made to ineligible worker, his tenancy shall cease attracting penal action as provided under the Act/Rules etc. 8) Respondent No.1’s husband-Dharam Dev Yadav was in the employment of the appellant as industrial worker. He was working in the appellant’s industrial unit. On 11.05.1971, he applied to the appellant for allotment of one quarter for his use and occupation. The appellant, vide order dated 12.05.71, allotted quarter No.5 in Block No. 59 in the industrial colony at Ghaziabad to Dharam Dev Yadav. On allotment, Dharam Dev Yadav executed a declaration as required under the Act/Rule. 9) Dharam Dev Yadav retired from the appellant’s service on 12.01.1992. He, however, made request to the appellant vide his letter dated 11.01.92 to allow him to remain in occupation of the quarter for a period of six months. The appellant acceded to his request and accordingly granted him time to vacate the quarter on or before 30.06.1992 on humanitarian ground. Dharam Dev Yadav did not vacate the quarter after expiry of six months and continued to remain in its occupation. In the meantime, he died leaving behind his wife (respondent No. 1 herein) who also continued to remain in the occupation of the quarter along with her family members. 10) The appellant, therefore, filed a civil suit in the year 2001 being S.C.C. No 39/2001 before the Additional District & Sessions Judge, Ghaziabad against the respondents. The suit was for respondent’s eviction from the quarter in question and also for claiming damages for its use and occupation payable from 30.06.1992. It was alleged that the allotment period having come to an end on the date of retirement of Dharam Dev Yadav on 12.01.1992 and the same having been extended for six months till 30.06.1992, he was under legal as well as contractual obligation to vacate the quarter on and after 30.06.1992. It was alleged that the respondents, who claim through Dharam Dev Yadav had no independent right to remain in occupation of the quarter because they were neither in the appellant’s employment and nor any allotment order had been issued by the appellant or/and the State in their favour in relation to quarter No. 5. It was alleged that the respondents are, therefore, in illegal occupation of the quarter in question as trespasser and hence were liable to be evicted from the said quarter. 11) The respondents filed their written statement and denied the claim made by the appellant. It was alleged that the appellant being a Company had no right to file a suit unless resolution had been passed authorizing the plaintiff-Company to file the suit against the respondents. It was alleged that the appellant not being the owner of the quarter in question had no right to file a civil suit seeking respondent’s eviction from the quarter. The respondents then alleged that they were in occupation of the suit house as tenant. The respondents also alleged that the suit was barred by virtue of Section 13 of the Act read with Section 23 of the Small Cause Courts Act and hence it was liable to be dismissed as being barred. 12) The Trial Court framed 9 issues. Parties adduced evidence. The Trial Court, vide judgment/decree dated 30.07.2012 decreed the appellant’s suit and passed eviction decree against the respondents. It was held that, (i) the suit is maintainable; (ii) there existed a relationship of landlord and tenant between the plaintiff and Dharam Dev Yadav; (iii) the monthly rent of suit house is Rs 34/-; (iv) the suit is not barred by Section 13 of the Act read with Section 23 of the Provincial Small Cause Courts Act; (v) the District Judge has jurisdiction to try the suit; (vi) the plaintiff is authorized and hence competent to file the civil suit; (vii) Dharam Dev Yadav was under contractual and legal obligation to vacate the suit house no sooner he retired from service; (viii) the tenancy in respect of the quarter came to end on termination of the employment of Dharam Dev; (ix) defendant No. 1 being wife of the original allottee had no right to occupy the quarter in question because she was neither a workman and nor the allottee; and (x) the plaintiff was entitled to claim Rs. 1000/- per month from the defendants from 25.9.1998 till the date of filing the suit and Rs. 1000/- per month during the pendency of suit till possession is taken of the suit house from the defendants. 13) Felt aggrieved, the defendants filed revision before the High Court under Section 25 of the Small Cause Courts Act. By impugned order, the High Court allowed the revision, set aside the judgment/decree of the Trial Court and dismissed the appellant’s suit. The High Court held that, (i) the civil suit at the instance of the plaintiff (appellant) is not maintainable for want of plaintiff’s (appellant’s) locus; (ii) the suit, however, is not barred by Section 13 of the Act; (iii) such suit, however, could be filed by the State Government or/and Labour Commissioner; and (iv) there was no relationship of landlord and tenant between the appellant and the original allottee. The High Court then proceeded to give directions to the Principal Secretary, Labour to take action against the erring officials who failed to take any action to obtain possession of the quarters from illegal occupants. 14) Felt aggrieved, the plaintiff filed present appeal by way of special leave before this Court. 15) Heard Mr. Sudhir Chandra, learned senior counsel for the appellant and Mr. Jay Savla, learned counsel for respondent No.2. 16) Having heard learned counsel for the parties and on perusal of the record of the case, we are inclined to allow the appeal and while setting aside the impugned order and restore the judgment/decree of the Trial Court, which rightly decreed appellant’s suit against the respondents. 17) In our considered opinion, both the Courts rightly held that the Civil Suit is not barred under Section 13 of the Act. The reasons are not far to seek. 18) As would be clear from the provisions of the Act, the power to decide the eviction cases under the Act was earlier vested with the Labour Commissioner under Section 21 of the Act. However, by U.P. Act No. 22/1972, Section 21 was deleted with effect from 28.04.1972. This necessarily resulted in restoring the power to try the eviction suit by the Civil Court under general law in terms of Section 9 of the Code of Civil Procedure 1908 (hereinafter referred to as “the Code”). 19) Section 9 of the Code provides that the Courts shall have jurisdiction to try all suits of a "civil nature" excepting suits of which their cognizance is either expressly or impliedly barred. A suit filed to claim eviction from any accommodation is a suit of "civil nature" and, therefore, the Civil Court is competent to take cognizance of such suit unless its jurisdiction is expressly or impliedly barred by virtue of any special Enactment. It is not so here. 20) As mentioned above, the jurisdiction of the Civil Court to try the eviction cases arising under the Act was barred by virtue of Section 21 till 28.04.1972 because the power to try such cases was vested in Labour Commissioner. It was permissible for the Legislature to do so. However, on and after 28.04.1972, Labour Commissioner was divested with the power to try the eviction cases by reason of deletion of Section 21 from the Act. The jurisdiction to try the suits arising under the Act, therefore, stood restored to the Civil Court by virtue of Section 9 of the Code because the Legislature then did not confer such powers to try the matters arising under the Act on other specified authority on and after 28.04.1972. It is for these reasons, we are of the considered opinion that the Civil Court was justified in trying and deciding the suit out of which this appeal arises. 21) So far as rigour of Section 13 of the Act is concerned, in our opinion, it does not put any fetter on the powers of the Civil Court to try and decide the eviction cases filed by the State or any authority or allotee of the houses against the person in possession of the quarter on and after 28.04.1972. 22) Section 13 only provides that if any order is passed by the State Government or Labour Commissioner under the Act, it shall not be called in question in any Court and no Court shall grant any injunction in respect of any action taken or to be taken under the Act. 23) This, in our opinion, only means that no industrial worker or any person alike him, if feels aggrieved of any order passed under the Act by the specified authority, will have a right to file any case in the Civil Court to challenge the legality of any such order or/and action taken under the Act. In other words, it only restricts the rights of the worker/person in approaching the Courts to question the legality of the action taken under the Act. This Section unlike Section 21 cannot be construed as ousting the jurisdiction of the Civil Court to try the eviction suit filed by the employer under the Act. 24) It is a settled principle of law that exclusion of jurisdiction of the Civil Court is not to be readily inferred and such exclusion is either be “explicitly expressed or clearly implied”. It is a principle by no means to be whittled down and has been referred to as a “fundamental rule”. As a necessary corollary of this rule, provisions excluding jurisdiction of Civil Courts are required to be construed strictly. In other words, it is trite rule of interpretation that existence of jurisdiction in Civil Courts to decide questions of civil nature is a general rule whereas the exclusion is an exception. The burden is, therefore, on the party who raises such a contention to prove such exclusion. (See Interpretation of Statutes by G.P. Singh, 12th Edition, pages 747-748). It is not so in this case. 25) It is for these reasons, we are of the view that both the Courts below were right in holding that the suit is not hit by rigors of Section 13 of the Act. 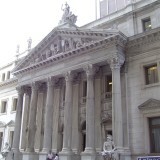 26) This takes us to examine the next question, namely, whether the High Court was justified in holding that the appellant (company) had no right to file the suit for want of any locus qua the defendants in relation to the quarter or in other words, whether the High Court was justified in holding that there was no privity of contract of any nature between the appellant and Dharam Das Yadav in relation to the quarter and, therefore, they were not competent to file a suit under the Act to seek respondents eviction from the quarter and such suit could be filed either by the State or/and Labour Commissioner? Yet another question as to whether the High Court was justified in holding that there did not exist any tenancy between the appellant and the worker in respect of the quarter? We do not agree with the view taken by the High Court as, in our view, the questions posed deserve to be answered in appellant’s favour and against the respondents for the reasons mentioned infra. 27) It is not in dispute that the State had allotted the quarters to the appellant under the Act by issuing an allotment order. It is also not in dispute that the allotment of quarters was made by the appellant to their workers for their use and occupation, who were in their employment. That apart and as would be clear, the Act enabled the appellant to deduct the rent every month from the monthly salary of the workers under the Act and lastly, there existed a relationship of the employer and the employee between the appellant and the allottee-worker due to which only, the workers were eligible to secure the quarter under the Act as a part of their service conditions. 28) In our considered opinion, the aforesaid undisputed facts were sufficient to hold that contractual relationship between the appellant and the allottee-worker in relation to the quarter for deciding their inter se rights had come into existence. It could be, therefore, construed as tenancy agreement between the parties. The appellant was, therefore, competent to file the civil suit against the worker for his eviction from the quarter allotted to him on the strength of such agreement by taking recourse to the provisions of the Act. The breaches alleged by the appellant against the respondents in the suit rendered the worker and all those claiming through him liable to suffer the eviction order because such breaches were rightly held proved by the Trial Court. 29) This takes us to examine one more question, which arises for consideration, namely, status of the allottee-worker qua the appellant on his ceasing to be in the appellant’s employment in relation to the quarter. 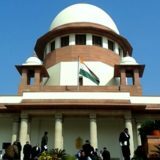 It is not in dispute that the quarter in question was allotted to Dharam Dev Yadav by virtue of he being in the appellant’s employment. It is also not in dispute that he retired from the service on 12.01.1992. He was, therefore, under contractual obligation to vacate the quarter on his retirement. He did not do so and instead sought extension to vacate the quarter after six months. The appellant granted it. Despite grant of extension, he did not vacate after expiry of six months. In the meantime, he died and his family members (respondents) continued to remain in its occupation. 30) The law on this question is well settled. A contract of tenancy created between the employer and employee in relation to any accommodation terminates on the cessation of the employment of an employee. In other words, such tenancy is only for the period of employment and comes to an end on termination of the contract of employment. Such employee then has no right to remain in occupation of the accommodation once he ceases to be in the employment of his employer. He has to then surrender the accommodation to his employer. 31) In this case, the possession of the original allottee Dharam Dev Yadav became illegal on and after 12.01.1992 when he retired from service because on this date, tenancy in relation to suit quarter also came to an end. In any event, it became unauthorized on and after 30.06.1992. The respondents too had no independent right to remain in occupation of the quarter in question because they were neither in the employment of the appellant and nor were the allottees under the Act so as to entitle them to remain in possession on their own rights. 32) The Trial Court was, therefore, justified in recording the aforesaid findings against the respondents and was also justified in passing decree for eviction and recovery of rent by way of damages against the respondents. We find no good ground to interfere in any of these findings. They are accordingly upheld. 33) We may mention here that Section 630 of the Companies Act also deals with such type of cases arising between the Company and its employees to whom the Company has provided the accommodation as part of his service conditions. 34) The Section enables the Company to file a complaint against their employee, if he fails to vacate the accommodation allotted to him by the Company by virtue of his employment on termination of his employment. Such complaint can be filed by the Company in the competent Court wherein the Company can seek employee’s prosecution, eviction from the accommodation and also for imposition of the fine as specified in the Section. 35) The appellant-Company, in this case could, therefore, also take recourse to invoke the remedy available against the respondents under the Companies Act. It was legally permissible for them to do so because the Act did not bar the applicability of Companies Act for resorting to such remedy against the respondents. Be that as it may. 36) Learned counsel for the respondents lastly submitted that the State/Central Government has issued some G.Os. which, according to him, enable the workers occupying the quarters after ceasing to be in the employment to purchase the quarters as per the procedure prescribed in the G.Os. 37) It is not for this Court to examine this question in these proceedings for the simple reason that this appeal is confined only to examine the legality of an order passed by the High Court in the eviction suit. We, therefore, express no opinion on this question. 38) In the light of foregoing discussion, we cannot concur with the reasoning and the conclusion of the High Court. The appeal thus succeeds and is allowed. The impugned order is set aside and that of the Trial Court is restored. 39) The respondents are granted 3 months’ time to vacate the suit quarter provided they deposit the entire decreetal amount awarded by the Trial Court and also deposit the three months’ rent by way of damages for use and occupation at the same rate determined by the Trial Court. 40) Let the decretal amount be deposited in the concerned Trial Court within one month. Failure to deposit the amount within one month will entitle the appellant to execute the decree forthwith. In S.L.P. (c) Nos. 13070 of 2013 and 27328 of 2014 Leave granted. In view of the aforesaid judgment passed in appeal arising out of S.L.P. (c) No. 11472 of 2013, these appeals are also allowed on the same terms and conditions. Tags: CIVIL APPEAL No. 5335 OF 2017M/s Unichem Laboratories Ltd.R.K. AGRAWAL ABHAY MANOHAR SAPRERani Devi and Anr.